Get 24/7/365 live support for your end-users & reroute Help Desk calls & tickets. Increase user completion rates with just-in-time assistance from specialists. Enhance user experience through targeted support utilization & trend reporting. End-User Live Support is real-time, virtual assistance for users of your HCM/Talent Management/Learning Management System. eSkillz provides integrated client-specific virtual support classrooms, staffed by live, trained support specialists 24x7. eSkillz expert Support Specialists assist end-users with all aspects of your system, including: login, registration and password resets, landing page guidance, computer compatibility system checks and overall user workflow navigation. We support over 2 million end-users. At eSkillz, we have the capacity to service an organization with a targeted user community of 100 employees or an organization with an external-facing site exposed to hundreds of thousands of users. Our Live Support staff division and proprietary chat engine have been built and customized to allow for complete scalability. Our users span federal and corporate organizations and we are proud to be the Live Support provider for DisasterReady.org which gives people around the globe free training on disaster recovery and readiness preparation training. We have the capability to run a computer compatibility system check. One of the top challenges affecting a successful end-user LMS experience is compatibility issues that arise when users are trying to launch online courses (web-based training). There are many variables that can interfere such as having pop-up blockers enabled or not having the latest flash. 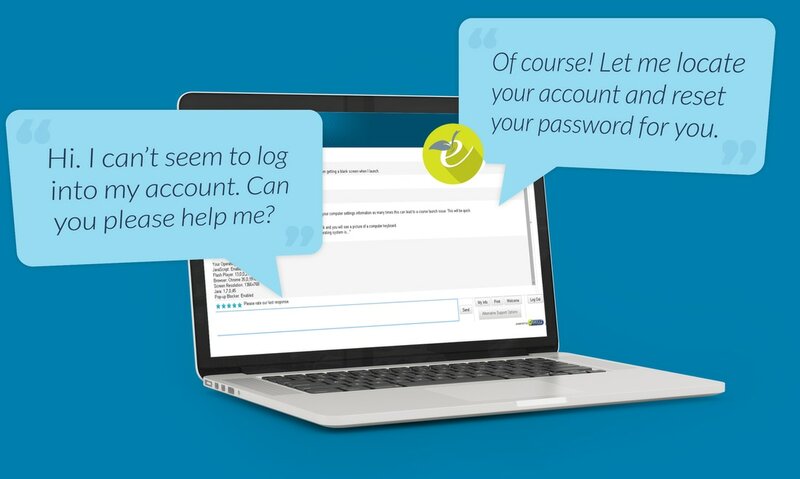 Through our chat engine, an eSkillz Support Specialist can push through a system check link that simply 'reads' the end-user's computer settings, allowing us to pinpoint the issue in minutes and get instructions over to the user to result in a successful course launch. Each Live Support deployment is completely custom. At eSkillz, our key support differentiator is that we don't simply apply an FAQ list to support your users. We go much further. For each client deployment, we build a custom knowledge base around your specific configuration and your specific end-user objectives and goals. We put our Support Specialists through custom training for each and every deployment so that they are completely familiar with the exact workflow that your end-users experience. This provides immediate impact to your end-users, allowing them to get the precise help they need, when they need it. Drowning in LMS configuration tasks? New LMS and don't know where to start? We can help!